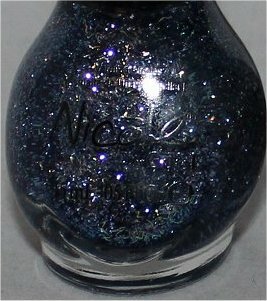 I’m really excited to be able to bring you an early look at the upcoming Nicole by OPI Selena Gomez Collection! It’s due out in stores January 2013, but, after I met and had dinner with Suzi Weiss-Fischmann, the Executive VP and Artistic Director of OPI and Nicole by OPI, the awesome PR ladies included the entire collection in my ‘swag bag’! Haha, it’s good that Selena Gomez got her own line of polishes. 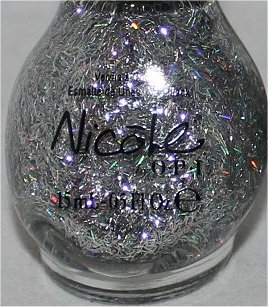 After all, Justin Bieber has his own Nicole by OPI nail polishes! You may or may not know, but I don’t actually ‘swatch’ polishes. I wear the colours as full manicures for at least a day and often longer. I only use the term ‘swatch’ because it’s the familiar lingo. And I prefer to showcase each shade in its own blog post so that I can go into a lot of detail. If you’re looking for a single blog post with all the shades at a glance, other bloggers do an incredible job of that! It’s just not my style. Edit: I received the below official polish-display photo from PR in January, so I updated this post to include it. Star light, star bright…confetti-silver nails tonight! 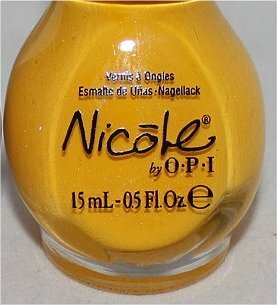 Nicole by OPI Nail Lacquers and Nail Treatments contain no DBP, Toluene, or Formaldehyde. 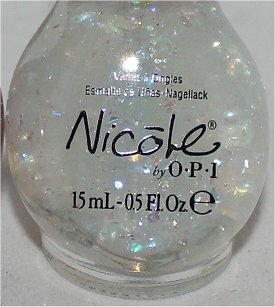 Nicole by OPI formulas are long-lasting, fast-drying, and salon-quality. Selena Gomez lacquers will be available January 2013 for $10.99 each at Shoppers Drug Mart, Walmart Canada, Jean Coutu, Loblaw, and London Drug. As usual, please stay tuned for my in-depth reviews where you’ll be able to see the shades in various lighting conditions. 🙂 Hope you enjoyed this first, quick look at the whole collection! Do you see anything that you like? Are you a fan of Selena Gomez? Which glitter stands out the most? 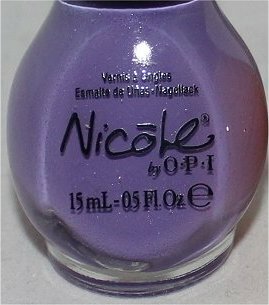 This entry was posted in Nail Polish Swatches & Reviews, Press Releases & Promo Pics and tagged Nicole by OPI on October 17, 2012 by Mary S..
To be honest I don’t actually own any Nicole by OPI nail polish. I do really like Pretty in Plum however so I might pull the trigger on that one! Thanks for sharing. You’re very welcome! 🙂 It would be a crime if I didn’t share this with my readers. 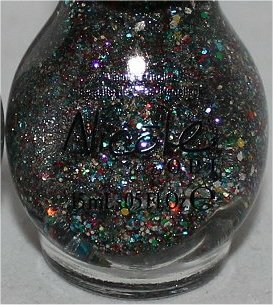 I know how excited I get when I see new nail-polish posts from other bloggers. 🙂 Glad that you found it helpful. I knew that you’d like the coral! 🙂 That’s a perfect colour for you! I agree – the pinky coral is pretty. Ditto the sleep thing but not due to re-intro of caffinee for me…I am in a 1 large tanker full of really strong Starbucks (either Sumatra or Verona which I make at home in my Keuring)…but I have been going for a few Pumk Spice ones at the store ’till it turned so frigging hot again. You might try a half decaf half leaded to break into coffee again and cut off by noon to help with sleep. I am really sensitive to caffeine messing with my sleep. Not really a fan of Selena Gomez, but her line has a few interesting shades that catch my eyes. Love Hit the Lights and Love Song. You know what? I don’t know all that much about Selena Gomez. Can’t even sing the hook for any of her songs, and the only thing I do know about her is that she’s dating Justin Bieber…haha! So, when I review these polishes, it’ll be completely on the colour and formulas without any biases about the singer. Tonight I’m planning to paint my nails with Hit the Lights if I have time. 🙂 It was the one that caught my eye immediately when I saw the entire collection. Review on Hit the Lights will be coming reallllly soon. Isn’t it lovely how there’s so much variety in this collection? You have the brights, the darks, the glitters, and even an opalescent flakie (or irregular-shaped shards)! Haha, well, I’ll give it to them that their bottle shape is unique and stands apart from all the others in the drugstore! I cannnot belive they have not changed the bottle shape all these yrs…recall when the first Nicoles came out – there was a penny from each bottle that went to some charity and I thought that was very lame – a penny? the retailer gave you a token and you put that in a little box next to the polishes. I never thought it was a line that was going to be ongoing – thought it would be a here and gone thing in 1 yr…and with soooo many who really hate the bottle..plus that bottle has got to be a lot more expensive to make than others. But then too, they have all the fill equipment fit to that bottle shade – changing would be a huge big deal – and Suzie W must like the shape and not care that so many hate it. The tie ins with high profile names in recent past yrs has given this line a whole new group of fans – plus when it started to be sold at Walmart/Targets too…that was a strong marketing move. But I wish someone would start a huge FB campaing to change the NOPI bottle shape – do you think Suzie really knows how many folks hate, hate hate it? It would’ve been interesting if I asked Suzi about the bottle shape when I had dinner with her. Hmm…but I didn’t even think to ask about it. I’m so happy to hear that because the first colour from this collection that I’m planning to wear is Hit the Lights! 😀 It stood out to me, and I want to see if it’s a streaky yellow or not. Right off the bat, the ‘Selena’ polish caught my attention. I really love that shade, and even though I’m not really a fan of lighter, paste-ish colors, I also am fascinated with ‘Love Song’. I’ll reserve my judgements on the glitters till I see them on finger nails. I’m assuming that $10.99 is for Canadians? That’s pricey! Yes, the $10.99 is in CAD funds. 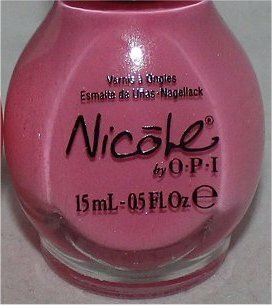 Nicole by OPI is usually around that price, but sometimes they go on sale (not at the initial release of the collection, but if you wait longer, they sometimes go on sale). Yeah, I’m not a fan of Selena Gomez, either…but not because I don’t like her. It’s more just because I don’t know her or her music really. I mean, I can recognize her and I know that she’s Justin Bieber’s girlfriend, but that’s all I know about her! I am a fan of Selena. I’m looking forward to seeing your individual posts on these colours. I want to get Pretty in Plum and all the glitters. Thanks for taking the time to leave a comment! 😀 I’ve missed seeing your name pop up on here. Like almost every commenter, I love Selena!!! Gosh, it looks so pretty! I’m also excited for Heavenly Angel. 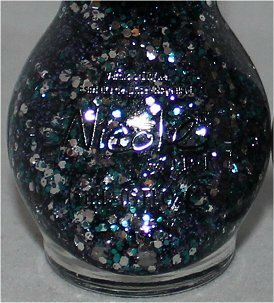 Reminds me a little of Luxe and Lush from China Glaze, which I also love, but only got one bottle of. I think this is a cute collection :). I like the look of the glitters in the bottles, but not necessarily on the nail sticks–I’ll have to see your full posts on them before I can make an informed decision ;). Aww…thank you! I’m glad that you find my reviews so helpful! Gosia recently posted: Go Pink Wednesday: a-England "Iseult" and Zoya "Rea"
Second: I totally understand why you’d buy a polish just for the name, especially if it has sentimental value. I’ve done it before, and I know that a lot of other nailphiles do it, too. You’re not alone! So funny I just actually watched the CSI NY that selena guest stars in! I personally like her well enough, I but turthfully don’t care either way…BUT I do think she is a great choice for the NOPI brand, she is the right age for their market, and hangs in the right circles (aka justin Beiber… aka he just turned 18, Marry me NOW!) JK But… yeah…wait… what where we talking about? Oh, I didn’t even know that she made an appearance on CSI. That’s pretty cool! Is she even good at acting? Fun to see so many good shots and the nail form swatches – thanks. I won’t be getting any of these…nothing rocking my socks as new that I need..plus super hard where I live to find NOPI that is not totally picked over immediately when it comes out. I kind of like the shimmery purple and the shimmery pink/red. Glad that you found it helpful to see actual bottle photos and quick swatches. I was pretty excited when I saw your pics of the bottles, but the swatches just didn’t look as badass :p The yellow reminds me a bit of one that I have, but I’ll head over to your own swatches and check out if they change my mind! Oh, you’re going to be so happy in 2013 because blue is one of the “It” shades, according to Suzi Weiss-Fischmann! 😀 Better shield your wallet’s eyes…haha, there should be a LOT of temptation in the coming year. Kissed at Midnight looks pretty-is it just me, or is it something more than just a gold glitter? I’m looking forward to your individual reviews! 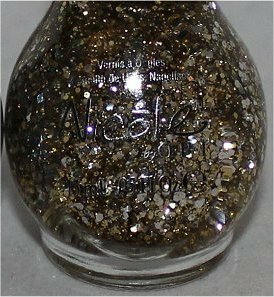 The Lacquer Tracker recently posted: Pirate Polish – The Pirate With The Golden Gun! 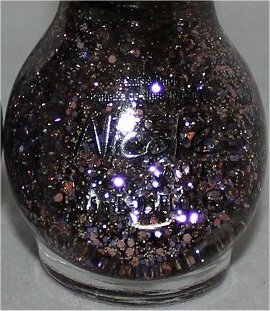 Kissed at Midnight has what look like hexagons and smaller glitter. Both appear to be the same shade of gold. I’ll have to wear it to get a better idea of it and inspect it in various lighting conditions. Hehe, yeah, I know, right? Meeting Suzi was a dream come true! Colors are def to die for will soooo be saving to get these. OPI is usually out of my price range. 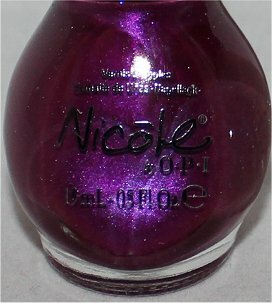 The funny thing is that here, Nicole by OPI is usually priced higher or the same as OPI, unless it goes on sale!